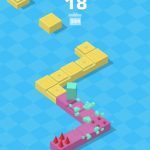 Want another game that’s as simple as they get, with no goals except to beat your high score (or your friends’ high scores) and collect as many characters as possible? You might want to try ASAB Mobile’s Skippy Box. Yes, it’s another one of those games – adjective ending with “y” (an actual word this time) for the first word, and one-syllable noun for the second word. 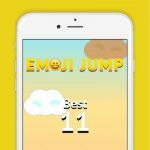 This is a casual platformer for iOS and Android where you can make use of the one-touch controls to bounce from platform to platform and avoid the game’s obstacles. You’ll also have to keep on collecting gems, because that’s what you will use to unlock and buy more characters. That, as you can see, is all there is to it. It’s a very simple game in terms of the mechanics, but as you’ll find out soon enough, it’s also quite a hard one to master. So read on, as we shall now be bringing you some Skippy Box tips and hints. These tips are designed to help you score higher and unlock more characters, and in case you missed it the first time, that’s all you have to do to succeed in this game. First of all, let’s get you oriented on the game’s basic controls. Tapping on the left side will allow you to do a long jump, while tapping on the right side will perform a short jump. 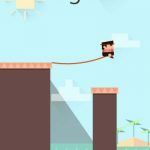 Use the long jump whenever you’re encountering a platform that’s two spaces away, and use it as well when trying to avoid the saw, which could be quite a nasty obstacle to overcome. Long jumping successfully will earn you two points. Short jumps, on the other hand, are worth just one point, and are best for platforms that aren’t too far away. As is the case in games of this kind, moving fast is the best way to go. As you go faster, you’ll have an easier time at it, as you’ll be going further away from the saw, with the camera zooming out. That will give you a better look at the level, and allow you to see more and act quicker when crossing the platforms. Gems are the game’s only form of currency, and, as we said above, what you’ll be using in order to unlock and buy new characters. You can earn gems simply by playing the game, though you can also hit the “Get 10” button to watch an advertisement video and earn ten gems that way. It’ll only be a quick video, and the game does have a lot of ads to serve up, so you can watch as many ads as you want to stockpile your gems. Completing achievements within Skippy Box will also earn you some gems, though it will all depend on the difficulty of the achievement. For example, getting a high score of 50 will earn you five gems for free, while getting a high score of 300 will give you 20 gems. 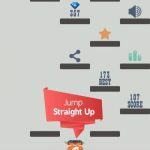 Performing more jumps will also count as an achievement, which means you’ll have to focus on short jumps if you want to get closer to hitting the jump-specific achievement. 4. What Do The New Characters Do For You, And How Much Do They Cost? Buying a new character will cost you 150 gems, regardless of which character you choose. As you may expect, these characters merely look different from each other and do not come with any special abilities at all, but there’s the thrill of collection to take into account. That’s it for now as far as our Skippy Box tips and tricks are concerned. Do you know other ways to get a high score and unlock more characters? If so, don’t hesitate to let us know!